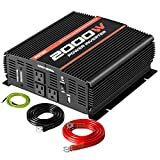 How Should You Choose a Power Inverter? With summer around the corner, your power supply situation can become difficult. It is good to be prepared for both unscheduled and scheduled power cuts. 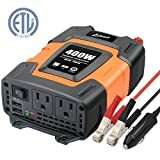 The most convenient way to combat the situation is to go for a power inverter, in case you do not have sufficient power backup. Whether you are going to upgrade, or to buy a brand new inverter, it is best to do your homework first. 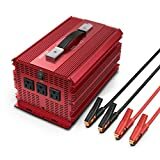 Here are a few pointers to help you buy the best power inverter! 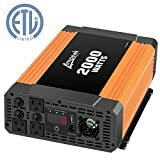 What should you consider when buying a power inverter? 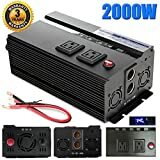 After going through several power inverter reviews, we have found out that this is what you need to look for before buying the device. 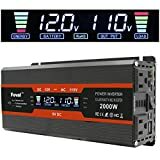 Think about power requirements: Before you buy an inverter, you need to calculate your power requirements. That means that you need to decide on the number of fans and lights you are going to run in case of a power failure. A home generator will match your requirements in most cases, but if do not want any power downtime, a power inverter is the best solution. Consider the power consumption: Inverters charge their batteries from the main power supply. The charging section should be energy-efficient so that it will not waste electricity after charging up the battery fully. An energy-efficient mode in your inverter will prevent a sudden increase in your electricity bills. Post-sales support from the manufacturer: Do your research before you select a particular model or brand of power inverter. It is best to opt for a dealer who offers onsite maintenance and repair within the warranty period. Selecting the battery type: The battery is the life source of all inverters-- therefore, choosing the right one ensures greater longevity of the device. There are three types of batteries: tubular, maintenance-free, and flat plate. Among the lot, the first one is the best choice. To ensure that your batteries run smoothly and for a longer period, you should always top it with distilled or reverse-osmosis filtered water, so that fluid levels are maintained. While buying the batteries, choose a brand which offers the maximum warranty.